When we talk about the concept of digitalization, we usually think of the transformation into a new, digital age. One might think that these developments are mainly determined by new technologies such as Big Data, Cloud Computing, Blockchain or the Internet of Things. It is easy to overlook the fact that digitalization is also the age of startup companies! These comparatively young and agile companies are able to adapt new technologies in the shortest possible time, convert them into marketable products and thereby revolutionize entire industries. Examples include Uber and airbnb, whose disruptive business ideas have triggered a reorganization of the taxi and hotel industry. These companies see technical innovation as a potential opportunity to rethink well-established business models completely and to replace them with scalable platform solutions. High growth potentials attract investors and lead to a huge upswing within the startup scene. For established companies, on the other hand, whose business models have been a guarantee of success for many years, these changes are equivalent to a major threat unless they exploit the opportunities offered by digitalization and recognize ambitious startup companies as relevant competitors. Against this background, it is becoming more and more important to observe the ongoing events in the startup scene, anticipate new trends and identify potential risks to one’s own business activities as early as possible. 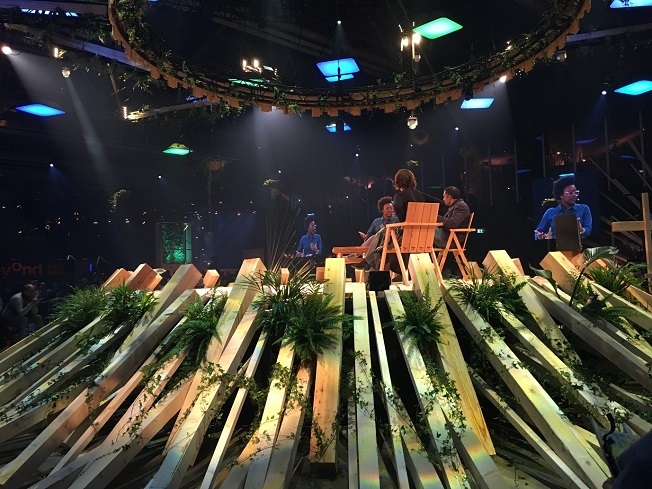 In order to provide our customers with the best possible advice in these matters as well, we visited one of the world’s largest startup conferences in Helsinki – called “Slush” for short. 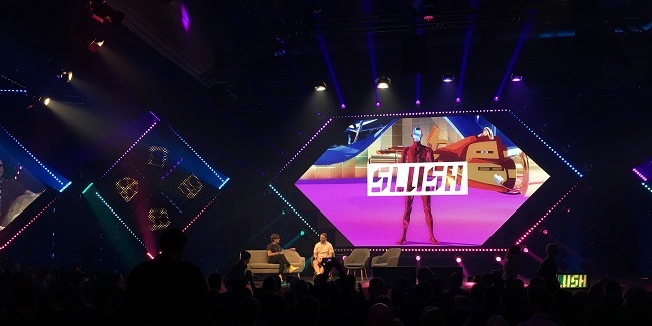 The Slush Conference attracted more than 20.000 visitors again this year and offers a platform for business representatives, aspiring startup companies, investors, industry experts and journalists. In addition to the usual pitch of business ideas, a large number of lectures, panel discussions and interviews were offered. Dr. Werner Vogels (CTO at Amazon), Bill Ready (COO at PayPal) and James R. Burgess (CEO at Wing) were among those who spoke. Furthermore, new technologies and innovative concepts were presented, the marketability of which is being worked on under high pressure. We are leaving Finland and take another look back at the numerous impressions of the past days. First and foremost, we are impressed by the outstanding founding mentality that prevailed not only at the Slush Conference, but throughout Helsinki. Successful startup founders, venture capitalists willing to take risks and well-known tech giants are the stars of the scene and are celebrated with thunderous applause. While we are still discussing the regulation of airspace in Germany, the first commercial delivery service for drones is already being launched in Finland. Also, in regard to the low participation of German companies, there is growing concern that we will miss out on international competition in the long term if we do not succeed in convincing the local economy of the potentials of digital transformation. The ability to adapt new technologies, the fast learning from mistakes and the anchoring of innovative solutions in one’s own business model are the key competences to survive in the world of startups. Nevertheless, the visit of the Slush Conference reminds us once again that we are already dealing with the right questions today. We are convinced that we can interpret the challenges of the digital transformation correctly and that we can guide our customers in the best possible way. Finally, we would like to encourage all interested parties to visit the > Slush or a comparable startup conference in order to gain new insights and to question the position of their own company in the future competition.